Includes: One (1) Locking arm Assembly for use entry door for many Tiffin Motorhomes. Includes: One (1) ENTRY DOOR HINGE for Phillips brand doors for use on many Holiday Rambler, Monaco Coach, Fleetwood RV Motorhomes, American Coach and several other makes and models of Motorhomes by leading RV manufacturers. 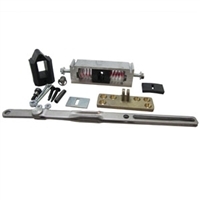 Includes: One (1) Entry Door Slide Bar Kit for use on Fleetwood RV Motorhomes, American Coach and several other makes and models of Motorhomes by leading RV manufacturers. Does NOT include: Hardware, Adhesive/sealant, installation instructions or tools.